since it is never announced on the forums I really think everything should be announced here like get a server status forum when its restart maintenance how long is this restart or is it actual maintenance? Legion Assaults and other stuff..
Hi all. I have several question in regards of the 7.2/7.3/7.3.5 update that recently took place on the server: Will there be a changelog for the new implementation? And if there will be, when? Legion Assaults - they work I think, I've completed several of them, but they are not shown on the map as WQ and also do the end 3 man scenario work? 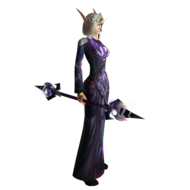 Professions - when will be some of the profs fixed - cries in 700 jewelcrafting.. Nightborn - is the race mount obtainable - it's a quest reward ~mi want da manasaber~ Is there a list of the working Mage Tower scenarios? Well this pretty much sums up my questions. How to level because quests seems not to work properly yet. Almost all quests even after you finish cannot be returned and you get no exp for that of course. Hi! im interested in joining the WoD server, but i dont know what to expect. I stopped playing in Wrath, and now that i heard so many bad things about WoD i wanna see it for myself. However, as i said, i have some questions. 1. How is it? Are there really as many bugs as people claim there are? 2. Can i run old raids? like ICC for example (for transmog, invincible etc etc) 3. How is the community? I saw that there are currently around 1k online, will i see people running around still or everyone is in garrisons? 4. How is the PvE and PvP situation in general? 5. Are updates frequent? 6. 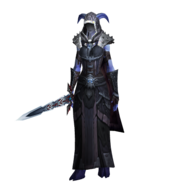 Lastly, how should i level up in WoD? as i said, i only played wrath for a short while so i think i'll be lost lol. Thanks in advance for the answers. So i just started playing on this server and on WoW in general. So i have few questions. 1. How do you get vote points? 2. Mounts who can change skill in riding according to your level, can you buy them only with donations? 3. What is the main differences this server has from Live server, except for the fact i don't need to pay subscription? 4. Some quests in starting zones don't work properly, is this normal? 5. On mini map, in WoD expansion, the location of quest holder is often displayed wrongly, is there any way to change that? 6. Is there Titan Panel for WoD expansion? 7. How party-focused end-game is? 8. How much people play on WoD Grommash server, if someone knows? Thank you in advance. Hello, I've got a question for you, GM's.. When' i've deleted my original named character by my nickname, and just wanted to remake it, I was not able to name it that way ever again.. even after 7 months.. (On WOD i mean). Now that I am in the Closed Beta testing and i've named my first char there by my own nick i'm wondering like.. Will you wipe the server before it goes live for everyone? If so, which i hope u will, Will you wipe all the name databases too? Because I'd love to transfer my main character there and Rename it to my normal original nick (Which cant be done now on WOD due to this "bug" ; hope i will be able to do this once in Legion.. ) So basically the Question is - Will you wipe (delete) all the stuff done in the Beta Testing + the Name Databases? Thank you, SpeekeR. Hi, I'm just curious about this... on the cataclysm server this worked fine... So I made some alts and sent over some of heirlooms to them. 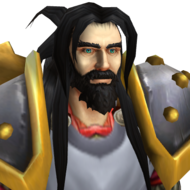 Just because, you know, fun, I was going to transmog my heirlooms to something else so I'm not looking at the original models. BUT for some reason when I try to, nothing happens. Can anyone comment on this? Am I doing something wrong or can you not transmog heirlooms to look like other gear anymore? If that's the case.... well that's sort of lame. Hello, everyone. 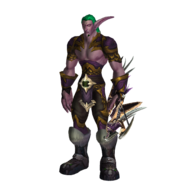 I have a question about X-mog. 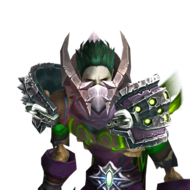 Is it possible to xmog random cloth head on mage in to Cowl of Absolution which is for priest class? Thanks for answers! Is there a lot of bugs? I wanted to play some WoW, then i saw WoD and a lot of people on realms. Is there a lot of bugs? Can i get lvl 100 without problems? Is PvE and PvP on 100 bugged so much? I would like to know how come you fix this Fixed glyph Glyph of Ascendance appearance is now modified according to the specialization of the player. 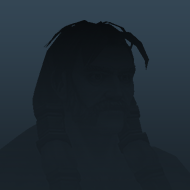 when you can't get the recipe of the glyph because it's dropped in tanaan jungle that is not released and many other glyphs are not discoverable in inscription because god knows why ... ??? Hi, i just wanted to transfer my character from pandashan to ashran and didn't find the way to do that !!! i looked in the shop , character's list , account management .... and couldn't find anything !!! is this feature available ?? is it going to be ??? 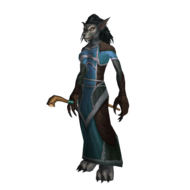 can i transfer character's from LK expansion to Wod expansion ??? i hope that someone have answers to my question !!! i'll be waiting for replies ... Thank's in Advance .